"EDUCATION IS A JOURNEY, NOT A DESTINATION"
WHO IS ELIGIBLE TO JOIN OUR NETWORK? Our goal is to educate the industry to maintain and improve professionalism throughout the USA. Please support the National Professional Association. 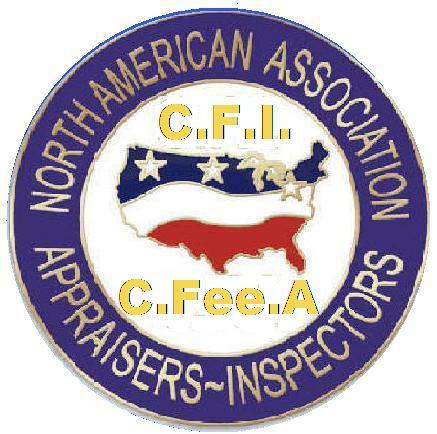 We hope professionals will join the North American Association Network. Through increased membership, our voice will grow, and ultimately work to benefit the industry. Your membership will include: A Membership Pin, Membership Certificate, Membership ID and a professional listing on our professional web site. See Our Who's Who and Yellowpage Directories! Consumers utilize our Yellow Pages and Who's Who Directories, which benefits each of our members through the web! your business through our Yellow pages, our Who's Who Directory and with our affiliation your Alexa Scoring. This is designed to increase your web hits, and therefore improve your web standing throughout North America.- We want to help to get your name out there to help you achieve your desired results in this industry! The more people that learn about your business, the more potential assignments you can expect. Marketing you as a Professional is different from advertising. It takes time and dedication. Your Current Professional Endeavors have brought you this far. Your abilities as a Professional are admired by your peers. Your clients and customers believe in your abilities. Isn't it time you joined our Network Association? Show others that you are affiliated with an organization that works towards the betterment of our industry. You deserve the opportunity to experience success, and we will help you, as a member to achieve your goals through our internet advertising and our internet directories. We would like you to know how to reach us. We have Delegates throughout the USA and Canada ready to assist you. 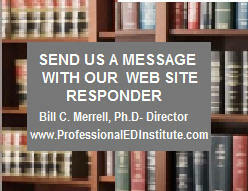 Our President is Bill C. Merrell, Ph.D.- Educator, Appraiser, Home Inspector, RE Broker, Field Inspector and Author. We are over 4,000 Educational Members strong and growing each and every day!